This week I’ve had the tremendous privilege of being in Oxford to shoot a small-group dvd series about C.S.Lewis, due out early next year. You can see photos here. I’ll be adding more each day. Today we shot behind Magdalen College, on Addison’s walk, where late one September night in 1931 J.R.R. Tolkien, Hugo Dyson, and Lewis took a walk. Tolkien got Lewis to consider the idea that Jesus’s incarnation, death, and resurrection were a myth that was also historically true. Nine days later, after a motorcycle ride to the Whipsnade Z00, Lewis assented to that idea, and became a Christian. 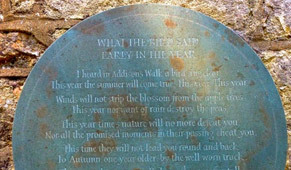 The following plaque of a Lewis poem was put up on Addison’s Walk in 1998, commemorating the Centenary of Lewis’s birth. I was there at that time and the poem remains one of my absolute favorites. This year, nor want of rain destroy the peas. To Autumn, one year older, by the well-worn track. My Email Exchange with Yahoo News! These Kids Made My Day! What does Bonhoeffer have to do with this election? 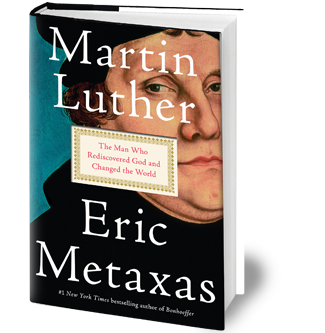 Metaxas Media LLC © 2019. All rights reserved.